AJ Stephans Birch Beer PURE CARBONATED WATER, CANE SUGAR, FLAVORING, SODIUM BENZOATE (PRESERVATIVE) A birch beer by any other name would taste slightly better than this. Granted, it has plenty of carbonation, sweetness and ‘Birch’ flavor. It also has that funky-funky aftertaste that leaves you gritting your teeth together trying to scrape it off. I’m not sure if this is a compliment, but…this is the best AJStephans product that I have consumed so far. I’m still a little per-plexed about this mysterious “flavoring” they speak of on the ingredients. The ingredients could be read as “flavored sugar water”. I think that would be easier to understand. AJ Stephans Olde Style Sarsaparilla PURE CARBONATED WATER, CANE SUGAR, NATURAL & ARTIFICIAL FLAVORS, CARAMEL COLOR, RED NO. 40, SODIUM BENZOATE (PRESERVES FRESHNESS) I have seen Oktoberfest beer as dark as this soda. The scent is superb, the sarsaparilla really stands out. The flavor is good (initially) and I could taste various flavors well. Then the aftertase kicks in and tends to spoil the experience. It is probably just me but I thought that it was the dry aftertaste that brought this one down a notch. Is alum an ingredient? Once again I have lost my faith in the word sarsaparilla. I really want to like the taste but I can’t. Boy am I glad Tim just brought me a MT. Dew to wash that bad sassy down. Baron’s Boot Hill Sassparilla CARBONATED WATER, FRUCTOSE, NATURAL FLAVOR, CARAMEL COLOR, CITRIC ACID AND SODIUM BENZOATE. It hit the glass and foamed up nicely. It has a dark RB color and a sas’prilla flavor. I liked the fact that this one did not surprise me with an odd color or an overpowering flavor but, I was hoping that it had something ‘special’ to it. This sassparilla is far from sassy. In fact it has about as much kick as a glass of tap water. Tastes like your low budge soda. Get it for your collection but don’t bother drinking it. Boylan’s Creamy Red Birch Beer CARBONATED WATER, CANE SUGAR, PURE BIRCH OILS, NATURAL FLAVORS, VANILLA, NATURAL YUCCA EXTRACT, VANILLIN, CITRIC ACID, CARAMEL COLOR, RED 40, SODIUM BENZOATE (PRESERVES FRESHNESS). Red, foamy and full of goodness. This one appealed to my sweet tooth. It has a tinge of wintergreen flavor to it which means you may not be able to chug more than one at a time. This beverage tastes nearly identical to the Boylan’s Original Birch Beer. If there were any difference I would say that this has a slightly higher belch factor. That’s just one guys opinion. I may be wrong……..but I’m not. Boylan’s No Sugar Here Diet Birch Beer CARBONATED WATER, PURE BIRCH OILS, NATURAL FLAVORS, NATURAL YUCCA EXTRACT, VANILLA, VANILLIN, CITRIC ACID, SODIUM BENZOATE (PRESERVES FRESHNESS), SUCRALOSE, ACESULFAME POTASSIUM. If you must drink a DIET birch beer then by all means drink one of these. I have no reason to drink anything DIET as it conflicts with the mayonaise on my bacon triple cheese burger. Sucralose should not be for human consumption… bleh! After Careful consideration, I must rename this beverage to…”Boylan’s No Color Here Extremely foul Diet aftertaste wannabe a Birch can’t take more than two stinkin’ drinks Beer”. 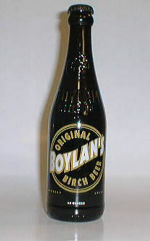 Boylan’s Original Birch Beer CARBONATED WATER, CANE SUGAR, PURE BIRCH OILS, NATURAL FLAVORS, CARAMEL COLOR, NATURAL YUCCA EXTRACT, CITRIC ACID, SODIUM BENZOATE (PRESERVES FRESHNESS). It leaves your mouth dry. Having said that, I can call it my only complaint. I like the spice flavor, dark color and out of the ordinary experience. The aftertaste is part of the Birch flavor, get used to it! A strong taste…yes. This is the flavor that a Birch Beer should have. You may not enjoy slamming too many of these monkeys. But I would really enjoy this brew with my meal. 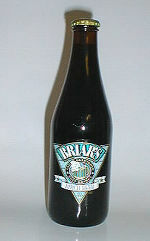 Briar’s Birch Beer CARBONATED WATER, HIGH FRUCTOSE CORN SYRUP, CARAMEL COLOR, SODIUM BENZOATE (A PRESERVATIVE),CITRIC ACID, NATURAL AND ARTIFICIAL FLAVORS This is still an aquired taste. If you do not like wintergreen or wood oil, grab a glass of grape soda and get away from birch beers. Very sweet, great birch taste, still couldn’t chug more than one if I had to. These are sippin’ brews buddy. Holy spearmint soda bat! This bevy screams flava. Did I say “flava”? The taste just clings to your mouth inards and frolics for a moment dancing with excitement. Drink this when you want to drink a soda but you don’t want to taste some same ol’, same ol’. 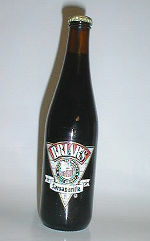 Briar’s Sarsaparilla CARBONATED WATER, HIGH FRUCTOSE CORN SYRUP, CARAMEL COLOR, SODIUM BENZOATE (A PRESERVATIVE),CITRIC ACID, NATURAL AND ARTIFICIAL FLAVORS A really good sas’prilla. This brew should appear on your list, it is on mine. I am going back for more! I’ve been very happy with the whole Briars collection. The sarsaparilla definitely has a “root” flavor. The taste is distinct but not where you’re reaching for the tongue scraper. Buy one of each and have your own taste-fest.